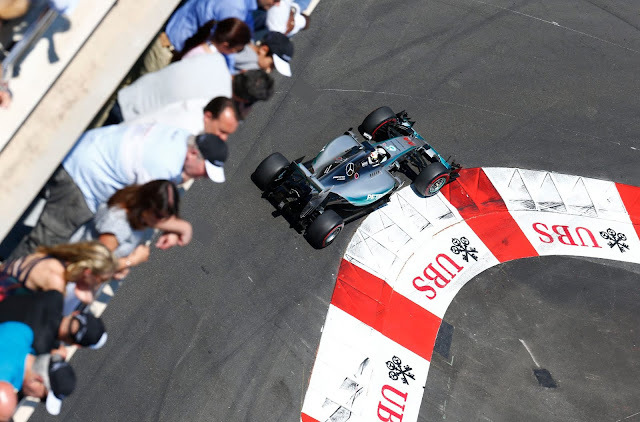 Axis Of Oversteer: Ricciardo gives Mercedes and Ferrari the finger in Monaco practice. 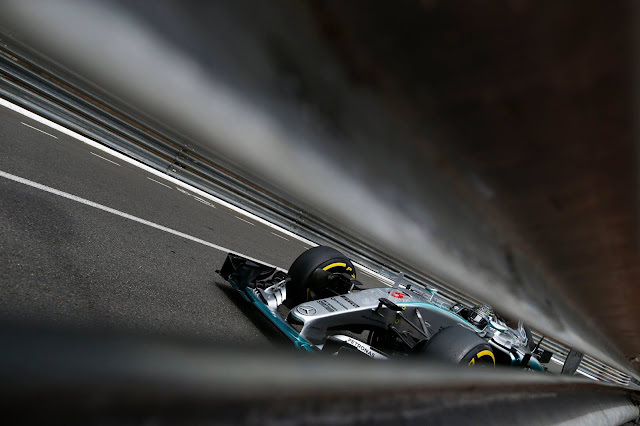 Ricciardo gives Mercedes and Ferrari the finger in Monaco practice. 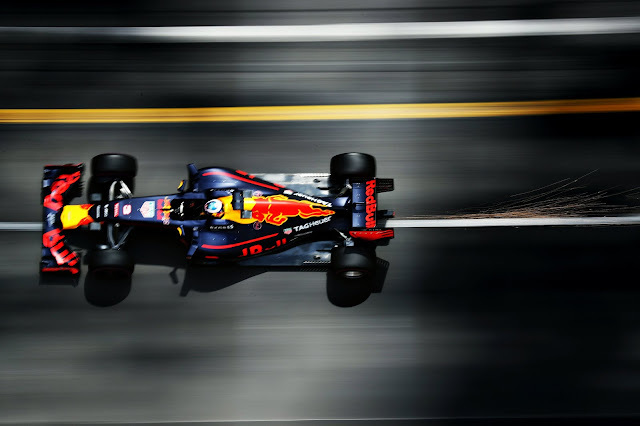 Daniel Ricciardo was a bit tense on Thursday morning, he had the latest spec Renault... no wait, Tag Heuer power unit... yet that "plucky teen" from the land of tulips was ahead on the time sheets. That probably accounted for his bit of a hissy fit towards Kimi Raikkonen, guilty in his eyes of not moving over fast enough. Sorry Daniel, it's free practice not qualifying. In any case, the " i is silent" Australian had the last laugh. In the afternoon he set a blistering lap, over a half second faster than Hamilton. Mighty impressive stuff from Red Bull and just the thing the Honey Badger needed going into qualifying on Saturday. It's been a rough two weeks for Ricciardo, Red Bull had their own corporate interests in mind when they engineered Verstappen's win in Spain. You can't fault the team, from a commercial point of view it made the most sense, the most ROI to have the teen take the win. 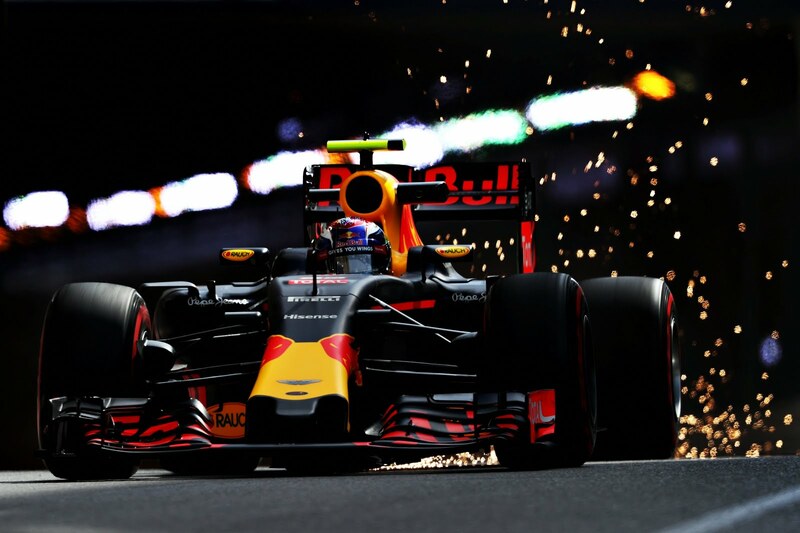 Ricciardo gets some payback in Monaco. A new engine behind him, he looks on his way to making the most of it, even if power is not necessarily the key factor at the principality. Ricciardo vs Verstappen is not the only "tension point" in F1 this week end. 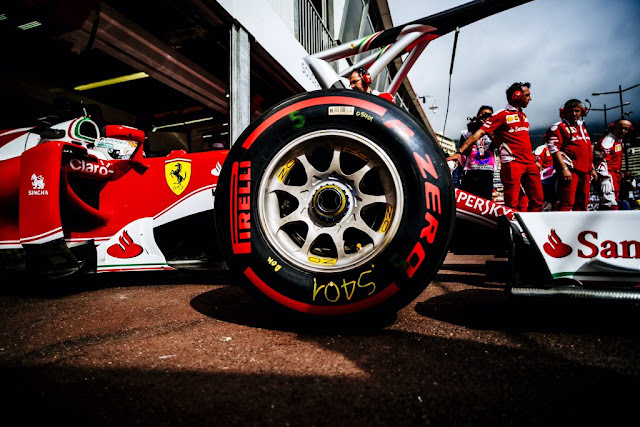 Some readers get upset when intra-personal dramas are discussed but F1 is a sport and sport is conflict between men as much as chronometer readings. At Mercedes, Hamilton need to show something special this week end. He's had mechanical issues, he's had his own performance issues, he's hinted the team stopped him from winning in Russia. The "conspiracy vs Hamilton" theory floating out there, does it have a basis in fact? While it's true Mercedes is denying it a bit too loudly, it's also true the same people calling foul now where ridiculing anyone who suggested Hamilton had been favored over Rosberg the past two seasons. Certainly, if you were running Mercedes, you might want to get the point across that it's not the driver, it's the car. While Mercedes or Red Bull have found themselves in the enviable position to choose between two possible winner, things are not so rosy at Ferrari. Vettel had a good first session but hit the barrier twice in the second. He ended up far behind the leaders and, once again, behind Kimi Raikkonen having failed two fast lap attempts on the new purple striped Ultra Soft tire. Vettel seems to be a cool character but pressure from the bloodthirsty Italian media is mounting. Leading journalists such as Pino Allievi of Gazetta dello Sport, who have been asking for Raikkonen's head over the past two years, are now they are starting to turn their anger towards the German. The SF 16T is a brand new car, a complete departure from the 2015 car, but Ferrari does not have the luxury to "learn" the car, results were expected out of the box and it will be a tough blow to have Red Bull in front again.